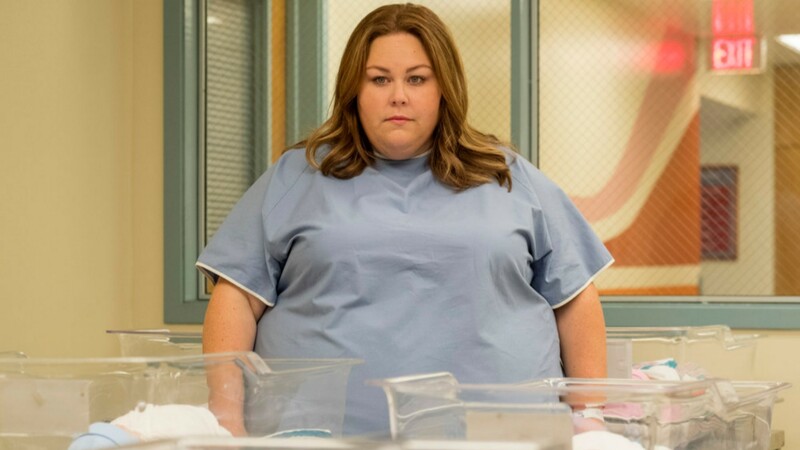 In her role as Kate Pearson on the family dramedy This Is Us, Chrissy Metz is learning a lot about what it's like to want to be a parent and encountering obstacles along the way to reaching that goal. However, she admitted in a new interview that she isn't quite ready to be a mom herself just yet. “I have a huge family and I taught preschool. I love children and they are the funniest, most magnificent creatures,” she told Us Weekly on the Nov. 7 episode of their podcast, Watch With Us. She also noted that liking kids doesn't necessarily mean she's ready to have kids of her own right now. https://media.giphy.com/media/ZxbrLkEOcauZFWVKok/giphy.gifMetz's This Is Us storyline in season three closely follows her and Toby's pursuit to conceive a child of their own. However, Kate is struggling to conceive through IVF treatments, partially due to her weight, which Metz said has given her some perspective on how tough conceiving through IVF can be, especially when it feels like there are too many obstacles to overcome. https://media.giphy.com/media/CjVjgJ0tG47dM5IC1O/giphy.gifAccording to a 2017 report from the U.S. Society of Assisted Reproductive Technology, approximately 1 million babies were born in the U.S. between 1987 and 2015 through the use of IVF or other assisted reproductive technology. These include egg and sperm donors or adopted embryos. A great thing about This Is Us is the way it tackles these real-life topics — and even if Metz isn't quite ready to upgrade from raising succulents, at least she can be prepared through her research for her role if she does decide to pursue parenthood herself.